Flozell Murrell III, 41, faces several charges, including first-degree murder. PALMETTO, Fla. — A man is accused of forcing his way inside the home of an ex-girlfriend and shooting her to death. 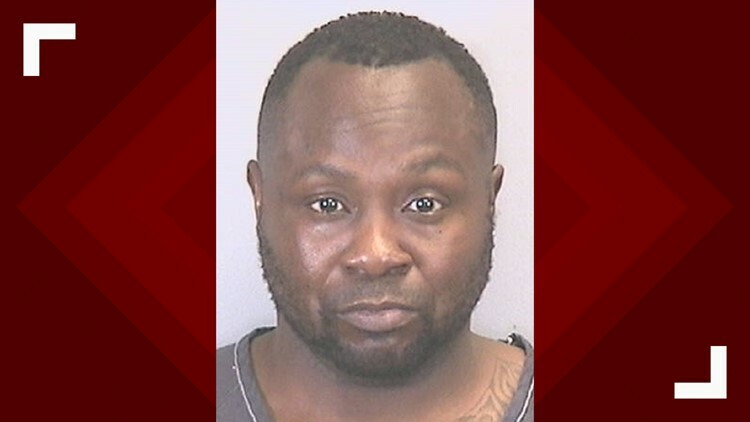 Flozell Murrell III, 41, broke into the home around 1 a.m. Sunday in the area of 1100 17th Avenue W., according to a Palmetto Police Department news release. When he got inside, police say he came across the woman, Stephanie McNabb, and shot her several times. Murrell then shot another man in the home, a 26-year-old, leaving him with a head injury, according to police. The two fought for some time, and Murrell ran off. An infant and a 2-year-old child also were inside the home at the time of the shooting. McNabb was taken to an area hospital for treatment but later died from her injuries. Police located and arrested him overnight. Jail records show he is charged with first-degree murder, attempted murder, burglary, assault, and possession of a firearm by a convicted felon. Records also show Murrell has a lengthy criminal history dating back to at least 2000.